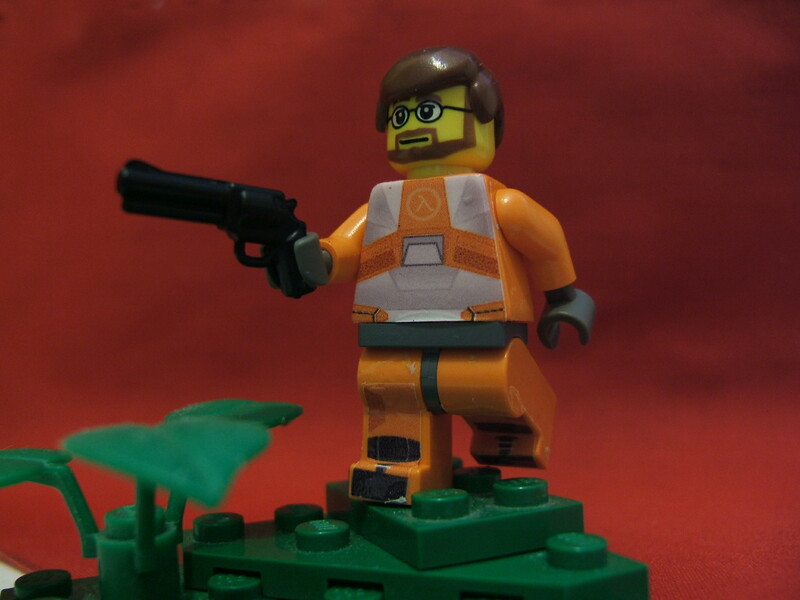 That’s Gordon Freeman from Half Life by Minifig Customization Network member Viking Maniac. The torso and legs are stickered, and the gun is by BrickArms. Read more in the MCN. Thanks for thhe comments, and I am proud that my work is beinf featured here. And the gun is from brickarms, for you who do not know what this is go to http://www.brickarms.com and also sat tuned as I willo be making a second version soon! ^ If I remember correctly, it’s a quote from the game.